Emily Roberts is a Seattle native and PNW enthusiast. She has been a licensed Broker since 2009 and is proud to be backed by Compass technology and progressive vision to provide an unparalleled experience for her clients. Prior to real estate, upon obtaining her Bachelor's Degree in Business Administration and Advertising, she managed strategic global marketing campaigns for Tableau Software and Microsoft. This knowledge has equipped her to best market homes to lead to top-dollar results when paired with her negotiation tactics. As a wife of a high-end custom home builder, she is also vastly versed in potential risks and opportunities for your next investment. She has a trusted network of home specialists to support her clients in making their house feel more like a home and sale preparation. Emily's combination of tech marketing, construction knowledge, and real estate experience is unlike any other Broker. She continuously ranks in the top 5% of Brokers in Washington and her business is 95% referral based, which in her opinion is her best accolade. When working with Emily expect your needs to be at the forefront of everything she does. She is known for top-notch client care during and beyond the buying and selling process. 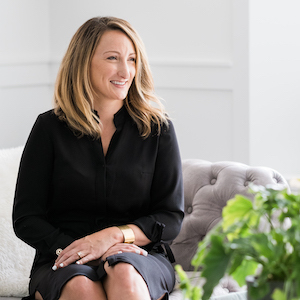 When not attending to clients, Emily enjoys never-ending house projects of her own, raising her two children (Fletcher and Tillie), and living a healthy lifestyle. Never hesitate to connect with Emily (she will always take your call). She would like nothing more than to listen to your goals and represent your next real estate success story.